Dating Study Says Singles With Options Go For Hotties Psychologists know that too many choices can be overwhelming and lead to indecision or rash judgments. A similar trend appears with speed dating. The larger the dating pool, the more singles tend to make snap judgments based on looks. In smaller groups, however, speed daters were more likely to pick based on personal info from conversations. Scientists already know people's brains can be overwhelmed by choice, say when shopping for electronics, detergent -- even chocolate. Too many options can lead to much confusion, often followed by indecision or snap judgments. Psychologist Alison Lenton wanted to find out if the same psychological state of being overwhelmed happens when we're choosing people -- like someone to date. 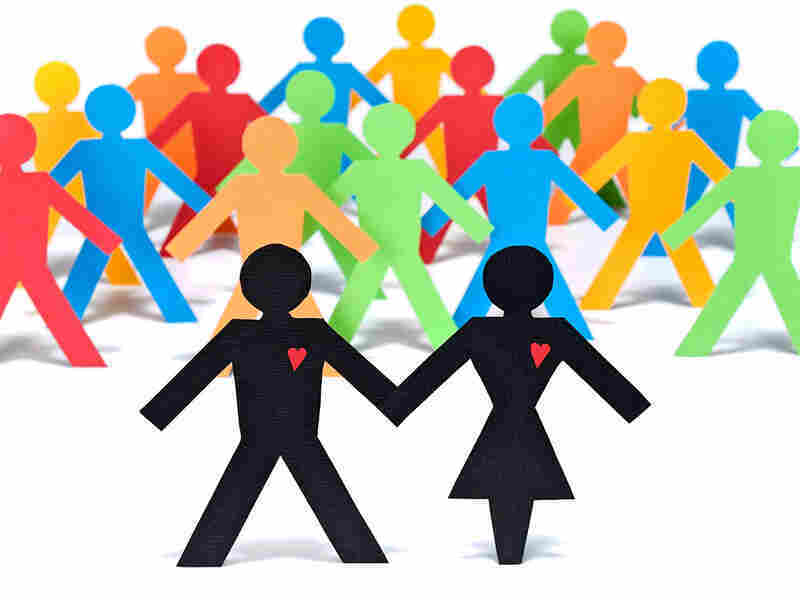 Lenton, who studies experimental social psychology at the University of Edinburgh, and economist Marco Francesconi of the University of Essex, decided to study this by looking at speed dating. Initially, the scientists supposed that choosing a potential partner might be different from picking out soap or chocolate, in part because people often think they know what they want in a mate. But they found -- just like the psychology of making purchases in a store -- the number of choices matters. Lenton and Francesconi analyzed records from 84 different speed dating events held in bars and clubs across the United Kingdom. In all, the events included 1,868 women and 1,879 men. In speed dating, of course, choice abounds. That's the point: lots of choices, lots of potential. During the events, these single adults had about three to five minutes to talk to each potential mate and decide whether they wanted to see them again. Typically, participants meet anywhere between 15 and 35 people in a night. And the scientists found that when there were more people to choose from, it was more likely that men and women would make judgments about whether to see that person again based on appearance. At bigger speed dating events, with 24 or more potential matches, both male and female choosers were more likely to decide based on "attributes that could be judged quickly, such as their dates' height, and whether they were underweight, normal weight or overweight," says Lenton. At smaller speed dating events, where participants choose between 15 and 23 partners, Lenton says, both men and women were more willing to make the effort to find out more about the person. And there was more focus on attributes they learned about through conversation, like occupation, level of education and whether the individual smoked cigarettes. Lenton says the findings show the importance of the environment in which people meet. But speed dating isn't the only place where judgments are made quickly, and often superficially. Lenton says the tendency to make choices based on appearance alone is exacerbated by online dating, where people can literally sift through thousands of photos and profiles. People need to have real experiences with each other if they want to make any kind of real connection, says psychologist Sheena Iyengar, a professor at Columbia Business School who's just written a book about choice called The Art of Choosing. "We're constantly moving jobs, working much longer hours, so we're not having time to really develop friends. So what I'm suggesting here is that the moment in our life when we do have time to develop friends, which is mainly in college and at the early stages of our career, it's really important to make those good friends and hang on to them." Maintaining friends, says Iyengar, can often lead to people making connections with others because they meet them through their old friends and relatives. But for those who like speed dating, New York psychiatrist Philip Muskin says there can be significant meaning in just three minutes. He points out that pretty much everyone has, at one time or another, been at a party or meeting or even on a subway platform and seen someone. "Your eyes lock for an instant, and you want to talk to that person," he says. And typically, he says, that's due to a variety of unconscious reasons. Perhaps the person is reminiscent of important people in our past, reminiscent of a parent, a sibling, a friend, or a former relationship. According to Muskin, such a moment of meeting may be so profound that it transforms into the beginning of a really true connection.